Cosatu nationwide strike to commence on Wednesday - SABC News - Breaking news, special reports, world, business, sport coverage of all South African current events. Africa's news leader. In Johannesburg, the march will start at the Mary Fitzgerald square on Wednesday morning. The Congress of South African Trade Unions (Cosatu) has called on all workers in the country to join its national strike on Wednesday. 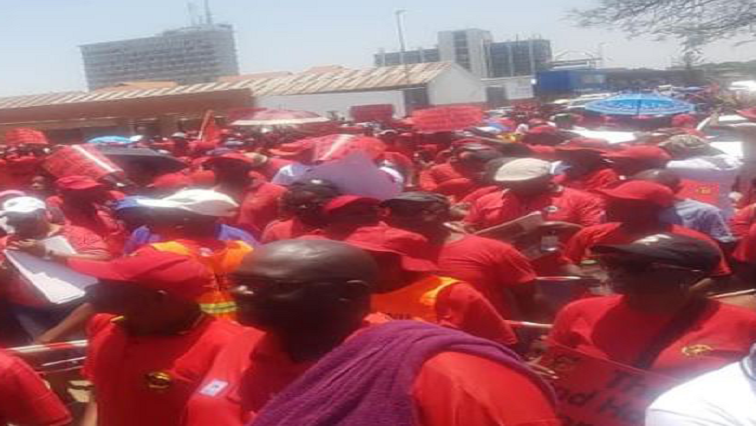 The labour federation says the strike is against job losses. It says workers are being unfairly retrenched. In Johannesburg, the march will start at the Mary Fitzgerald Square. Traffic in the Johannesburg CBD is expected to be affected. Several streets will be blocked for the duration of the march. Cosatu spokesperson Sizwe Pamla says the march in the Western Cape will take place on the day of the budget speech, which is on February 19. This entry was posted on 13 Feb 2019,05:50AM at 5:50 AM and is filed under Business. You can follow any responses to this entry through the RSS 2.0 feed. Both comments and pings are currently closed.